Moscow, Jan 22: Department of Shipping RosMorRechFlot (Ministry of Transport, Russia), said that there was an explosion followed by fire on board of gas tanker during STS operation, the fire spread to another tanker. One’s LPG tanker MAESTRO another one is CANDIY, not found in all available databases, also LPG tanker, also Tanzania-flagged. MAESTRO last available AIS is dated Jan 11, Turkey. Most probably, AIS is off, because trading LPG of Crimean origin is illegal according to international sanctions imposed on Crimea and Russia. External Affairs Ministry says #India's Embassy in #Moscow is in constant touch with the Russian agencies for more information on Indian nationals affected in the ship accident in #KerchStrait. Another tanker found – it’s LPG tanker CANDY flag Tanzania. Last AIS dated night Jan 20, a tanker was crossing Kerch Strait in the southern direction, en route from Temryuk Russia to Lebanon. AIS off during last 20 hours. Russian rescuers are trying to reach sailors who jumped overboard. Fourteen people have so far been rescued. 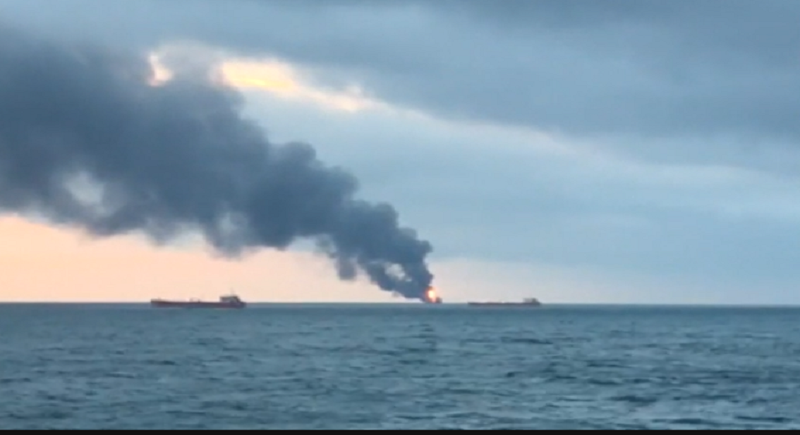 The fire broke out when one vessel was transferring fuel to another, Russian maritime agency spokesman Alexei Kravchenko said, adding that this had then forced several crew members to jump overboard. The crew members were sailing in "neutral waters" in the Black Sea when the incident occurred, authorities said. The names of the two vessels, the Venice and the Maestro, both appear on a US treasury list as possible targets for sanctions over petroleum shipments to Syria. So what ship or ships are on fire? LPG tankers or cargo ship? If LPG tankers are on fire, then, both were involved in illegal trade. Both, by the way, are owned by offshore companies, in apparent attempt to hide the true identity of the owner or owners. We should know this to understand the issue….. The Republic of Crimea, officially part of Ukraine, lies on a peninsula stretching out from the south of Ukraine between the Black Sea and the Sea of Azov. It is separated from Russia to the east by the narrow Kerch Strait. 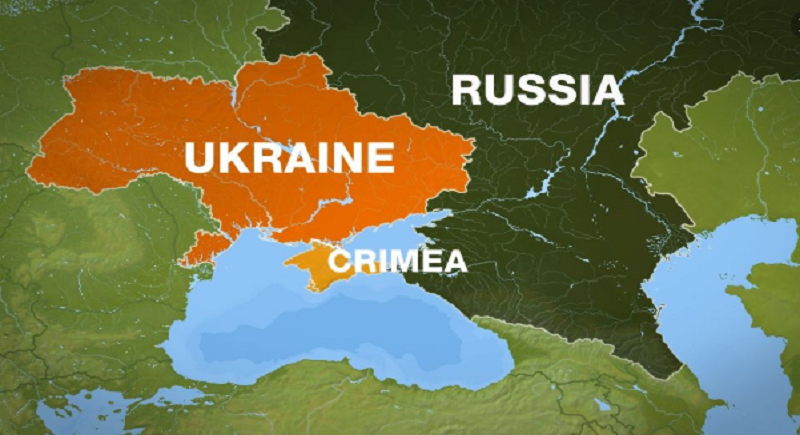 The 1996 Ukrainian constitution stipulated that Crimea would have autonomous republic status, but insisted that Crimean legislation must be in keeping with that of Ukraine. Crimea has its own parliament and government with powers over agriculture, public infrastructure and tourism. The Crimean Tatars have their own unofficial parliament, the Mejlis, which states its purpose as being to promote the rights and interests of the Crimean Tatars. In 2008, Ukraine - then under the pro-Western President Viktor Yushchenko - demanded that Moscow not use the Black Sea Fleet during its conflict with Georgia. Both countries had agreed to allow the Russian fleet to stay until 2017, but after the election of the pro-Russian Viktor Yanukovych as president in 2010, Ukraine agreed to extend the lease by 25 years beyond 2017, in return for cheaper Russian gas.